Renewed Philology is an international working group of scholars in biblical studies whose work reflects critically on the intellectual frameworks brought to bear in philological practice. The work of this group is diverse in its interests, interdisciplinary in its readings of ancient texts and the recovery of ancient world-views, and meta-critical in its practices. We are comprised of a core group of researchers and are supported by a broader advisory board. The systematic study of language, literature, their reception and their transmission has been central to education and intellectual activity since the development of the written word itself. Philology has been foundational to approaches to the past and the development of ideas about the present. In the history of ideas, the scholarly and pedagogical activities that are constitutive of philology have been essential in the formation of our identities through ancient texts and in situating and reintroducing the past during the Renaissance and Enlightenment. In the modern academy, scholars from different disciplines apply similar methodologies on sometimes vastly different corpora. But sometimes ongoing work in subjects and cultures from Ancient Mesopotamia through Modern Germany labors without the benefit of a deep understanding of philology’s own history as a discipline and in particular, the inequalities its ways of knowing have historically produced. We seek to reshape philology’s future through understanding its past. Through our work, we hope to renew the value of careful attention to language and the cultural values encoded in language and discover forgotten or overlooked lines of inquiry within philological practices. Faculty and students working in diverse disciplines stand to benefit from learning about each other’s work in philology inside and outside the classroom. 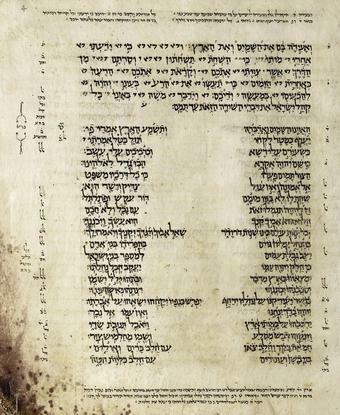 While our focus is specifically on biblical philology and the unique challenges faced to the study of these corpora, our group is engaged with ongoing work in other philological disciplines. We are particularly concerned with what biblicists (and practitioners of other related areas) mean when they speak of “philology,” as both a set of reading practices and an integrated theory of language. We are interested broadly in interventions in philology and its historical-critical posture that reflect critically upon gender, race, class, religious identity, and other subject positions embedded in the intellectual frameworks we bring to bear when we do philological work. We are interested in posing broad questions of ancient texts and the cultures that are reflected in and constructed by them, such as notions of artistic production, beauty, truth, justice, transmission, personhood, the self and the other, identity, community, and the religious imagination. To learn more, see our page on recommended further reading. The members of this group are engaged in a number of research projects, devise and convene a number of workshops and conferences under the mantle of Renewed Philology. Core members of this group are founders and chairs of key program units within the Society of Biblical Literature, including Philology in Hebrew Studies and Book History program units.